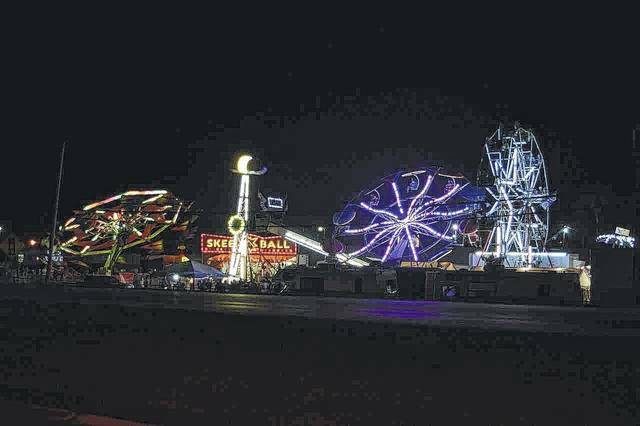 GALLIPOLIS — The smells of fried food and farm will soon be returning to the Gallia County Junior Fair, July 30, as area youth put forward their best foot in competition with their prized animals, projects and more. The first day, a horse show is anticipated to start at 8 a.m. in the horse arena with rabbit judging to follow in the Dairy Barn at 8:30 a.m. Pet rabbit judging will be done at 8:30 a.m. in the grey pavilion and at 9 a.m. tobacco judging will be held in the show arena. Poultry will be shown in the Dairy Barn at 11 a.m. and field crops will be discussed in the activities building at noon. Visitors can watch the miniature goat show at 1 p.m. in the show arena. The Cloverbuds Show and Tell will be held in the gray pavilion at 2 p.m. Market goats will be shown in the show arena at 3 p.m. and the Gallia Academy High School Band will play on the Holzer Main Stage at 3 p.m. River Valley High School Band will follow at 4 p.m. and South Gallia will follow at 5 p.m. The official opening ceremony for the fair will be held on the main stage at 6 p.m. In the grey pavilion, the livestock skill-a-thon will be held at 6 p.m. and the Little Miss Gallia County Contest will be held on the main stage at 6:30 p.m. Championship Rodeo will be held on the pulling track at 7 p.m. and the Little Mister Gallia County Contest will be held at 7:30 p.m. The 2018 Miss Gallia County Contest will start at 9:30 p.m. on the Holzer Main Stage. Entertainment coming to the fair includes the Jordan Family Band at 7 p.m. on July 31 and Hollyn at 8:30 p.m. the same day. Shenandoah will take the stage Aug. 1 at 8:30 p.m. and Natalie Grant will take the stage the next day at the same time. Sheppard Brothers will go on stage Aug. 3 at 7 p.m. after Cloggers and Ricochet is anticipated to play Aug. 4 at 8:30 p.m.